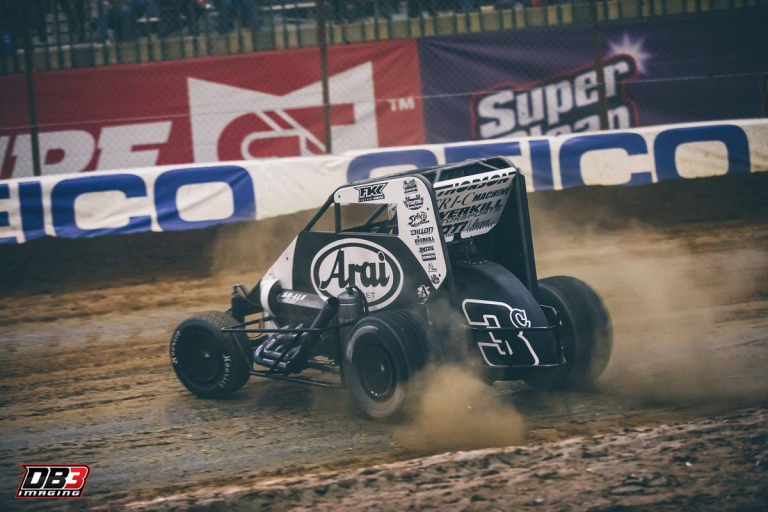 Bryan Hulbert – TULSA, Okla. (January 15, 2019) Winning in preliminary night competition for the fifth time at the Lucas Oil Chili Bowl Nationals presented by General Tire, California’s Kyle Larson grabbed the lead on Lap 6 of Tuesday’s Warren CAT Qualifying Night A-Feature then went unchallenged to punch his ticket into his eighth 55 Lap championship event. Working backmarkers by Lap 9, Larson’s advantage changed very little before the caution lights lit up working Lap 16 a Kyle Jones spun his No. 7u almost directly in front of Kyle Larson. Able to avoid, Larson brought the field to speed with the lap count adjusted to the last fully completed lap. Running into traffic once more, the caution flag flew again with five laps to run as Larry Wight’s night ended with a cloud of smoke billowing out from beneath the bonnet of the No. 99. Fourth the first 16 laps, Tyler Courtney’s run dimmed in the closing laps to sixth. Dillon Welch in seventh was trailed by Chili Bowl Rookie, Jesse Colwell. Ninth went to Alex Bowman with Tanner Berryhill making up the top ten. Tuesday’s Warren CAT Qualifying Night at the 33rd annual Lucas Oil Chili Bowl Nationals presented by General Tire saw 69 drivers drawing in to bring the event total so far to 132 drivers checking in. 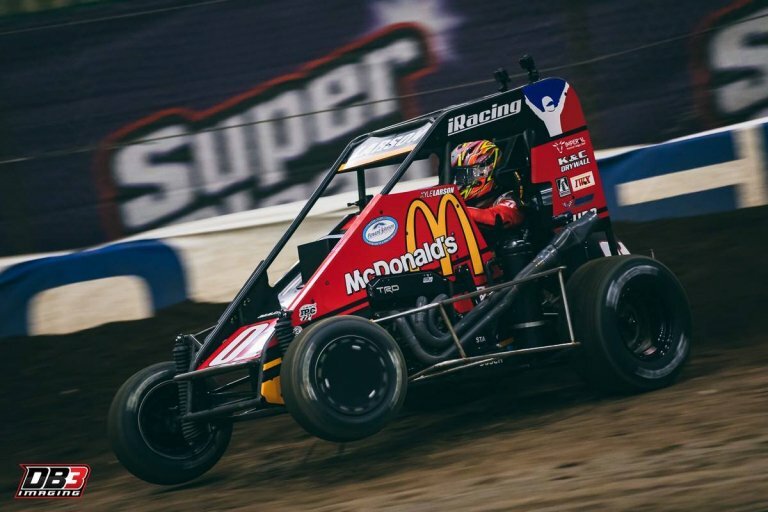 Through the second night of action, the Chili Bowl Flip Count is up to 15. All drivers have been able to walk away.